When Jasper Rose of Watertown, Mass., turned 6 years old earlier this month, the kindergartner decided he didn’t need any birthday gifts. 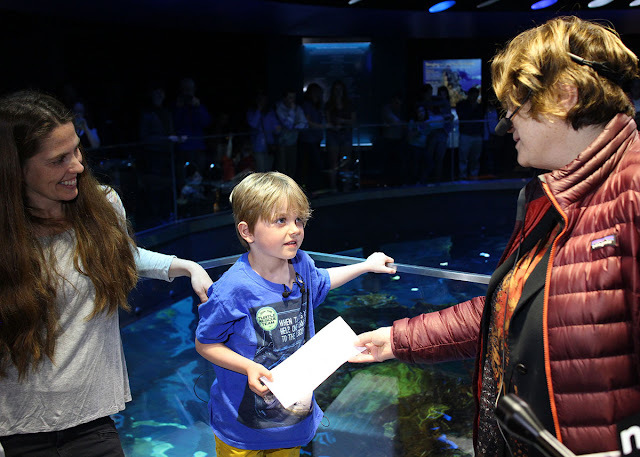 Instead, he asked for money that he could donate to the Aquarium’s sea turtle rescue program. 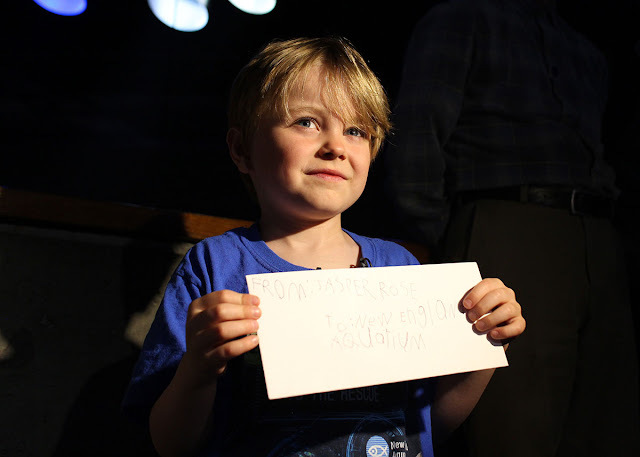 He raised $550! Jasper holds his check collection in honor of his birthday — and in lieu of birthday gifts! 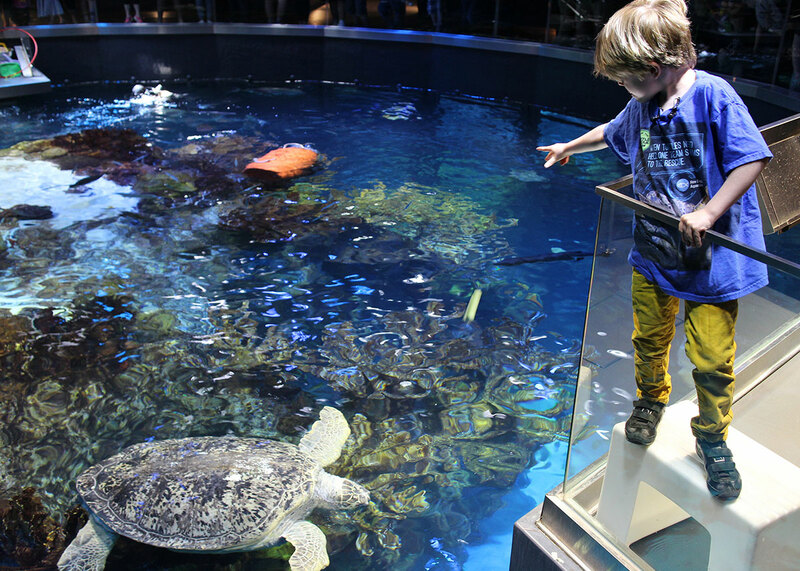 Jasper's check presentation came with a treat — for him and for Myrtle the turtle. Jasper got to feed Myrtle her morning meal! Lettuce, cabbage, broccoli, and Brussels sprouts were on the menu. 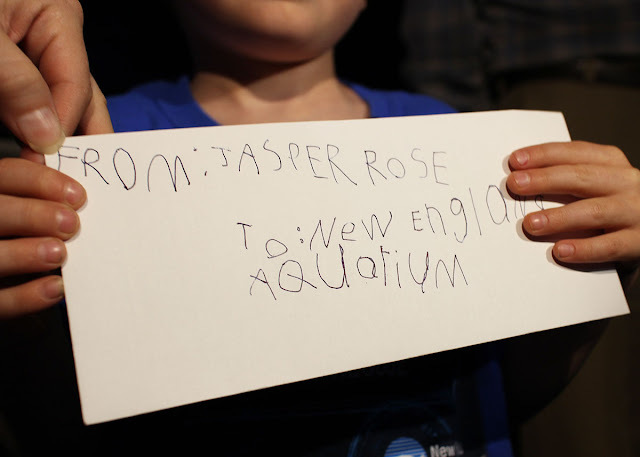 For the past three years, the Roses have been Aquarium members. Now, Jasper knows all of the turtles’ names and stories. 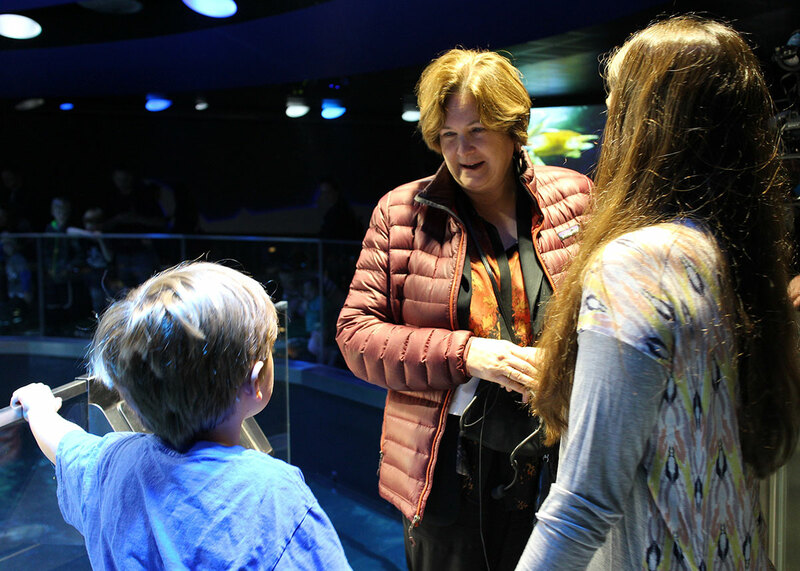 Over the winter, a family friend gave the family a tour of the sea turtle hospital in Quincy. That visit solidified Jasper’s obsession with sea turtles. 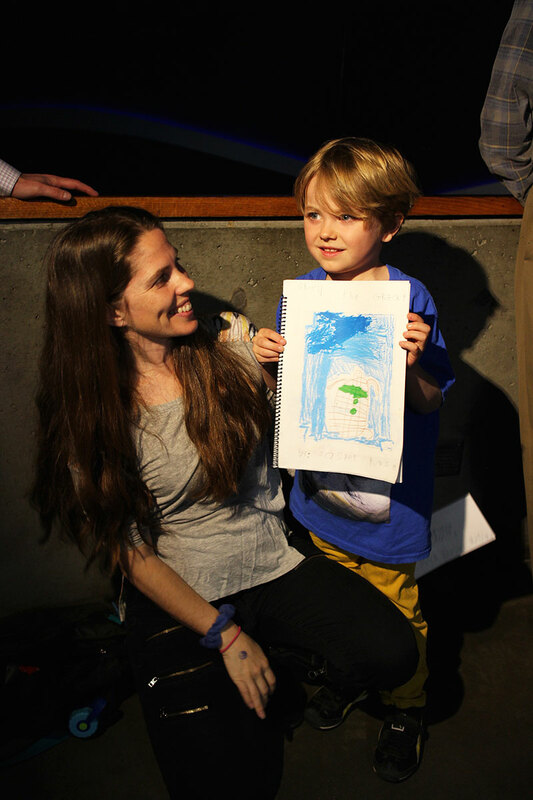 He even wrote and illustrated his own 10-page book about a sea turtle’s adventure. 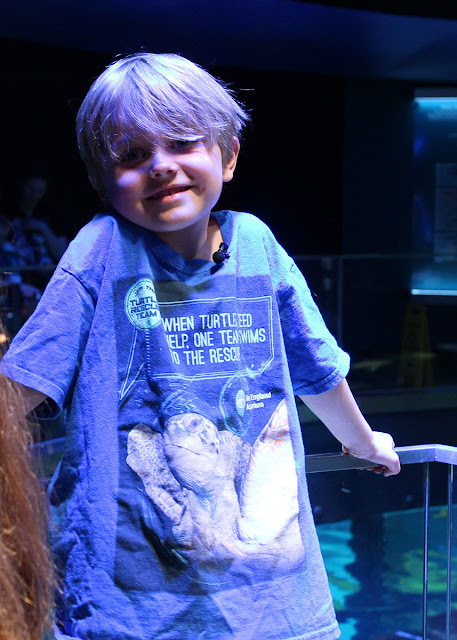 Jasper's shirt featured Myrtle the turtle, especially appropriate today! 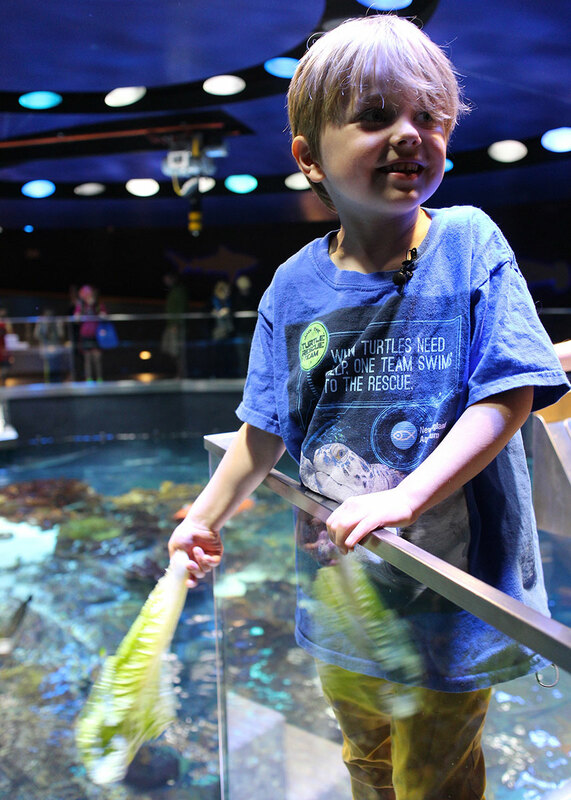 Thank you to Jasper for his generous donation to our sea turtle rescue program. 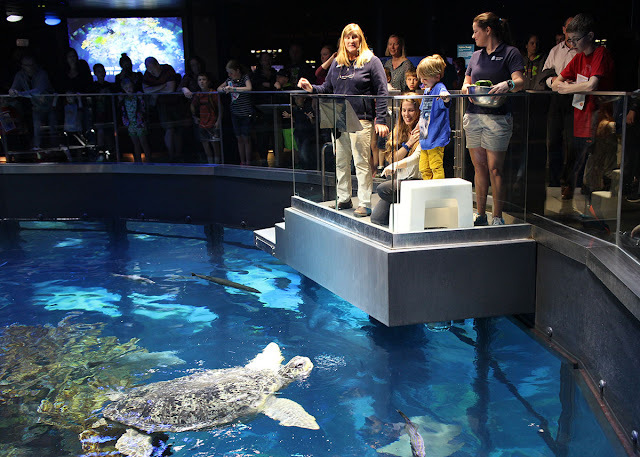 Even more, we appreciate his passion for sea turtle rescue and this opportunity to raise awareness for sea turtle rescue! Happy Earth Day, all.